It’s an appropriate coincidence that the acronym for the Standard American Diet is SAD. Also known as the Western pattern diet, the SAD uses available data to estimate the diet of the average American citizen. As you can probably guess, the current SAD is pretty, well, sad. It’s high in ultra-processed foods, low in plant-based foods and lacking in smart beverage selection. The SAD is the main reason why chronic disease rates for conditions like obesity, Type 2 diabetes and heart disease have skyrocketed in the United States over the past couple of decades. To help you better understand what’s wrong with the SAD, we’ve compiled five key statistics that illustrate just how poorly the average American really eats. In a 2015 CDC study that examined produce intake in 2013, researchers found that only 13 percent of Americans met the recommendations for fruit intake and only 9 percent met the recommendations for vegetable intake. That’s appalling. Produce has been a bedrock of proper nutrition since the dawn of mankind, yet many Americans have abandoned it. If you’re looking to feel, look and perform your best, produce should make up a significant portion of your diet. Since many Americans are forgoing plant-based foods, what are they eating instead? That leads us to our next statistic. Formulated mostly or entirely from substances derived from foods. Typically contain little or no whole foods. Durable, convenient, accessible, highly or ultra-palatable, often habit-forming. Typically not recognizable as versions of foods, although may imitate the appearance, shape and sensory qualities of foods. Many ingredients not available in retail outlets. Some ingredients directly derived from foods, such as oils, fats, flours, starches, and sugar. Others obtained by further processing of food constituents. Numerically, the majority of ingredients are preservatives; stabilizers, emulsifiers, solvents, binders, bulkers; sweeteners, sensory enhancers, colors and flavors; processing aids and other additives. Bulk may come from added air or water. Micronutrients may “fortify” the products. Most are designed to be consumed by themselves or in combination as snacks. They displace food-based freshly prepared dishes, meals. Processes include hydrogenation, hydrolysis; extruding, molding, reshaping; and pre-processing by frying, baking. Examples include chips, ice cream, chocolates, hot dogs, poultry and fish “nuggets,” energy bars, breakfast cereals, instant soups, pastries, many salty/sweet snacks, cakes, energy drinks, sodas, fruit drinks, and pre-prepared meat, pizza, cheese and pasta dishes. The fact that most Americans get the majority of their calories from ultra-processed foods wouldn’t be an issue if they were healthy, but you can probably already guess that’s not the case. These are essentially the complete opposite of plant-based foods. “Highly processed foods typically have fewer vitamins, minerals, phytochemicals, antioxidants and nutrients like fiber and protein than lower processed foods. They also usually contain more low-quality fat, sugar, sodium, calories and refined carbohydrates,” says Brian St. Pierre, nutrition coach at Precision Nutrition. A recent study from Harvard’s T.H. Chan School of Public Health found that more than 50 percent of American teens and children don’t drink enough water, and 25 percent of them don’t drink any water on a daily basis. The numbers for adults aren’t much better. According to a recent study from the Centers for Disease Control and Prevention (CDC), 43 percent of them drink fewer than four cups a day. The exact amount of water you need to drink daily depends on your age, gender, weight, climate and amount of physical activity. But no matter where you fit into those categories, there’s a good chance you’re not drinking enough water. The human body is roughly 60 percent water, and water plays a crucial role in almost every important bodily function. Water transports nutrients and oxygen, supports proper muscle contraction, improves joint function and fights fatigue. Being even slightly dehydrated can cause decreases in reaction time, mood and focus. The negative effects of not drinking enough water are almost too many to count. If many Americans don’t consume enough water, what are they drinking? That leads us to our next statistic. 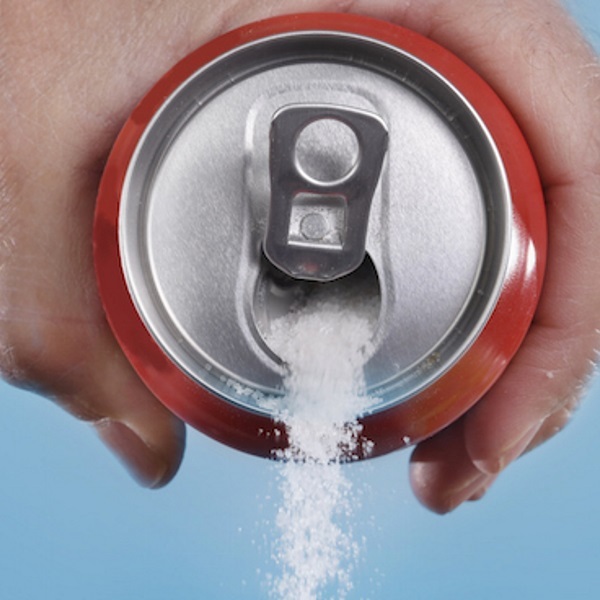 A recent study from the CDC found that almost one-third of Americans drink at least one sugar-laden soda or other sweetened drink every day. The average amount of sugar in these drinks is nearly eight teaspoons per 12-ounce serving, which is more than the daily recommended amount for women and just one teaspoon under the daily recommended amount for men. These types of beverages can sabotage an otherwise healthy diet in an instant. The reason researchers included “sugary drinks” in addition to soda is because many of those options are just as bad as soda, if not worse. This study did not include diet soda consumption, which can be just as bad as regular, full-calorie soda. The artificial sweeteners used in diet soda can wreak havoc on your insulin levels and lead to overeating. In fact, studies have found that diet soda drinkers consume just as many calories on a daily basis as regular soda drinkers. Every previous statistic on this list has led to this one. The choice to eat ultra-processed foods instead of produce and drink sugar-laden beverages instead of water leads to a disastrous overconsumption of sugar. Despite the American Heart Association’s recommendations that women consume no more than six teaspoons and men no more than nine teaspoons of added sugars per day, the average American consumes a whopping 23 teaspoons. Added sugars are sugars that were added during the manufacturing process and do not naturally occur in the food. The nasty effects of consuming too much added sugar range from cosmetic to life-threatening. Examples include obesity, fatty liver disease, diabetes, tooth decay, heart disease, stroke, high blood pressure, high cholesterol, constant hunger, low energy, depression and increased skin aging. Several high-profile athletes, such as WNBA star Maya Moore and Olympic swimmer Elizabeth Beisel, have described feeling much sharper and more energetic after cutting processed sugar from their diets. If your diet is similar to the SAD, limiting your added sugar intake is a great step in the right direction.